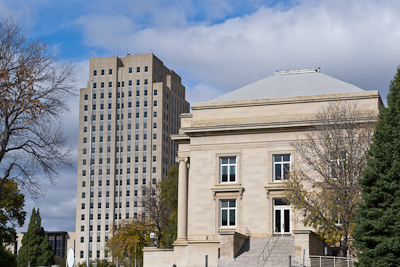 The State Library serves North Dakota government agencies in many ways. Professional librarians assist with research, cataloging collections, and training needs. Online Library Resources may be accessed at your desk using your State Library card. Training is also available to help you get the most out of the State Library's services. The State Library also administers the State Document Depository Program, which preserves and distributes North Dakota state agency publications.